The state will need to elevate gold to an equal strategic resource as oil. Currently, there are more and more people recognizing that the ‘gold is useless’ story contains too many lies. Gold now suffers from a ‘smokescreen’ designed by the US, which stores 74% of global official gold reserves, to put down other currencies and maintain the US Dollar hegemony. Going to the source, the rise of the US dollar and British pound, and later the euro currency, from a single country currency to a global or regional currency was supported by their huge gold reserves. 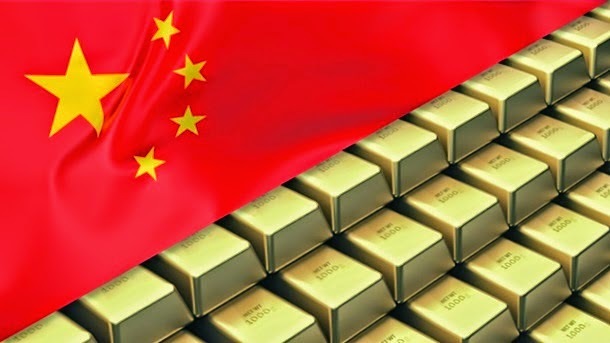 Song’s vision is in line with these statements which confirms the strategy of the Communist Party of China to aggressively accumulate official gold reserves and to stimulate individual gold investment in order to strengthen the Chinese economy and protect it from internal and external shocks. 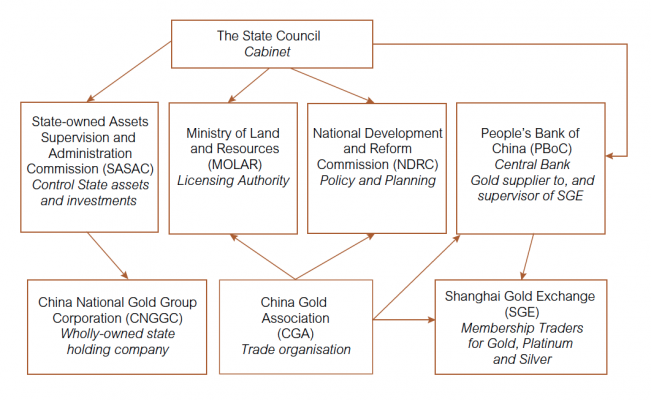 Note, Song is the President of the CGA that for political reasons largely understates Chinese gold demand figures in order to conceal China’s true hunger. Though clearly expressing his point of view in the next article, he could not disclose deviant data regarding CGA demand numbers. Actual Chinese wholesale gold demand in 2013 was 2197 tonnes, as is confirmed numerous times. Translated by LK, gold investor from Hong Kong. By Song Xin, General Manager of the China National Gold Group Corporation, Party Secretary and President of the China Gold Association. For China, the strategic mission of gold lies in the support of RMB internationalization, and so let China become a world economic power and make sure that the “China Dream” is realized. Gold is the only thing carrying the dual mantels of a commodity as well as a monetary substance. It’s both a very ‘honest’ asset and forms the very material basis for modern fiat currencies. Historically, gold has played an irreplaceable role in responses to financial crises and wars as it comes to protecting a country’s economic security. Because of this, gold carries with it an honored and divine-given strategic mission in the ascend of the Chinese people and the pursuit of the “China Dream”. Gold is the world’s only monetary asset that has no counter party risk, and is the only cross-nation, cross-language, cross-ethnicity, cross-religion and cross-culture globally recognized monetary asset. Gold is the last protection for a country’s economic security; it safeguards a nations sovereignty in times of crises. A textbook example happened in 1997 during the Asian financial crisis. To work through Korea’s severe debt problem, the IMF’s condition for a rescue package was to sell large enterprises. In the end, the Korean government had no choice but to call on its people to donate gold to settle the foreign debt, and it was only through this act that the chaebols at the center of the country’s economy and independence survived. From our country’s point of view, gold has played an irreplaceable role in the development of our economic society. In the wars during the Revolution [1921-1937] gold provided strong support in the economic development of the liberated zones and achievements in reforms; in the three years of natural disasters, the nation used gold reserves to obtain information on living and production conditions and took actions to alleviate hardship. At the start of the great Reforms (1980’s), gold boosted our foreign reserve levels and helped the promising private sector and it advanced society. After 1989, we suffered economic sanctions from Western countries for a while and the PBOC used our gold reserves to enter into swap agreements to obtain needed foreign currencies. Right now, gold is still serving its functions to protect against economic risks; contributing in ever more important ways to our financial security. For the moment, although in general the international scene is peaceful, conflicts can develop in certain regions. If there should be a blockade or regional war, there could be only one method of payment left: gold. Since the 18th People Congress, general secretary Xi Jinping brought up the goal to revive our nation, to realize the “Chinese dream “. One important part of this dream is to have a strong economy. Though China is already the world’s second largest economy, there is still a long way to go to become an economic powerhouse. The most critical part to this is that we don’t have enough say in matters such as international finance and matters regarding the monetary system, the most obvious of which is the fact that the RMB hasn’t fully internationalized. Gold is a monetary asset that transcends national sovereignty, is very powerful to settle obligations when everything else fails, hence it’s exactly the basis of a currency moving up in the international arena. When the British Pound and the USD became international currencies, their gold reserve as a share of total world gold reserves was 50% and 60% respectively; when the Euro was introduced, the combined gold reserves of the member countries was more than 10,000 tonnes, more than the US had. If the RMB wants to achieve international status, it must have popular acceptance and a stable value. To this end, other than having assurance from the issuing nation, it is very important to have enough gold as the foundation, raising the ‘gold content’ of the RMB. Therefore, to China, the meaning and mission of gold is to support the RMB to become an internationally accepted currency and make China an economic powerhouse. In this view, our gold reserves are very low, both in terms of a nominal level as well as a percentage of official reserves. From the nominal level, the total official reserves of gold in the world stands at 30,000 tonnes, of which the USA has been occupying the first place at 8133.5 tonnes – 26 % of the world total. Germany has 3387.1 tonnes and Italy and France both hold more than 2,400 tonnes. Ours is 1054 tonnes at the sixths place – only 3.4% of the world total. As a percentage of a country’s total reserves, US gold reserves amount to 71.7 % and European nations have kept their levels between 40% to 70%. The average of the world is about 10%, but for us it’s only 1%. All-round, Multi-channel Increases In Gold Levels. Fulfill Our Part In Enabling Gold To Accomplish Its Strategic Mission. 1. Relax gold import controls, grant large scale gold enterprises permits to import gold. In 2013, our gold consumption reached 1176.4 tonnes. Compared to the 426 tonnes of local production, there is a shortage of 750 tonnes. To meet this gap, we presently let the 12 commercial banks with gold-trading rights import standard gold ingots. But these banks lack the ability to refine and assay gold, they can only import standardized gold, missing the large amount of non-standardized gold and wasting the international resources that we could reach. By relaxing import controls, the large-scale gold companies can then obtain this gold and use their own technology to refine it into standard quality gold. This can help meet demand in the market, or turn gold into official reserves as required. 2. Establish a gold reserve building fund. This can be seeded using capital from the State Treasury, and open it for participation by private-sector capital in the public. It should be controlled by the State and used to target diverse off-shore gold resources, acquire mines and raw gold and in so doing, extend our reach beyond our borders and add a layer of opaque reserves to otherwise standard reserve numbers. 3. Establish a Gold bank. We need to establish our gold bank as soon as possible, and enable it to break the barrier between the commodity and monetary world. 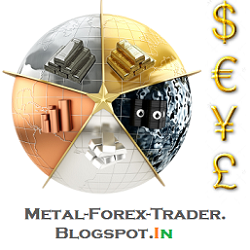 It can further help us acquire reserves and give us more say and control in the gold market. It may be guided under the PBOC and led by the China Gold Association, involving leading gold industry companies and commercial banks, and it’s business would include: gold pricing (fix), gold financing and leasing, gold-guaranteed payments, gold saving accounts, gold lending, gold production chain financing and issuance and trading of paper gold and other gold investments. This gold bank can then naturally use market-oriented methods to change commodity gold into monetary gold reserves, thus help us increase our strategic gold reserves.